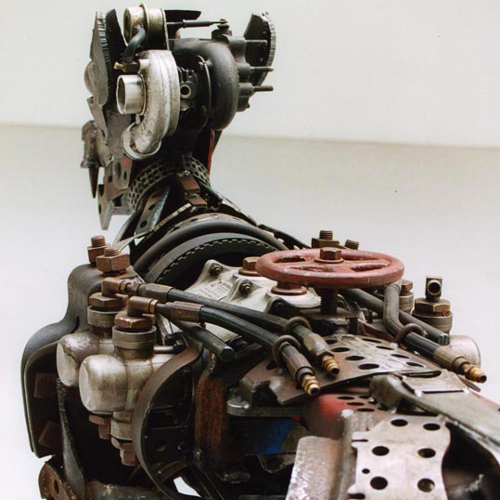 In an increasingly technocentric world “Phantomoton” will focus on traditional mediums in response to the transition of our natural origins into a post-industrial modern age. In our fast-paced everyday life there are still glimpses into a world where people find solutions using practical skills, inventing new, creative and sustainable solutions in which to live, work and play with imagination and spirit. Have we become a phantom limb to technology? With robots and computers performing the tasks previously taken care of by humans, can we transcend our technological advancement to move forward into a more enlightened and creative age? Or will we become obsolete in a virtual reality where artificial intelligence and machines run our lives for us? The difference between us and our mechanical counterparts is choice and the chance of human error. People are born creative and empathic; we can choose to remember and embrace our connection to the natural world but are we destined to relinquish ourselves to being an afterthought in a benign re-creation of the human experience? 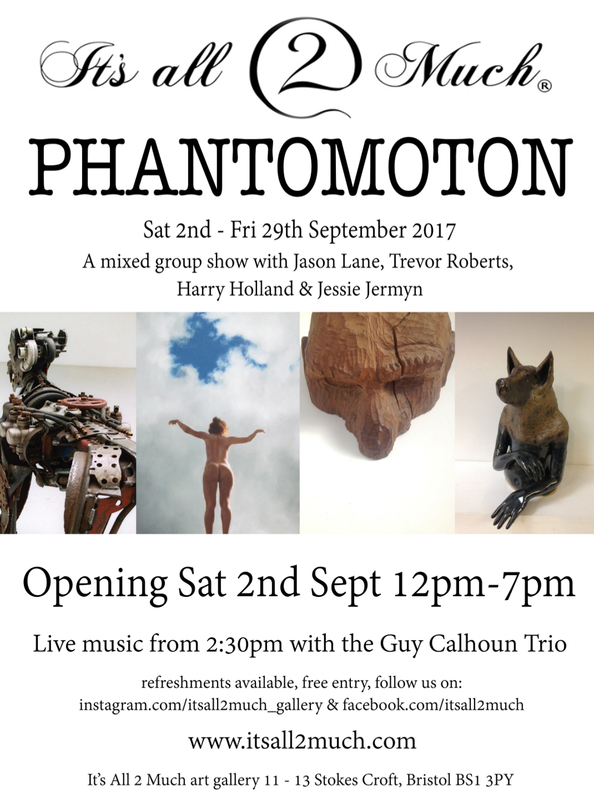 Featuring works by Jason Lane, Harry Holland, Trevor Roberts and Jessie Jermyn. Unfortunately this exhibition was cancelled due to circumstances beyond our control.